For honor. For victory. For love. For destiny. For passion. For Troy. Brad Pitt picks up a sword and brings a muscular, brooding presence to the role of Greek warrior Achilles in this spectacular retelling of "The Iliad". Orlando Bloom and Diane Kruger play the legendary lovers who plunge the world into war, Eric Bana portrays the prince who dares to confront Achilles, and Peter O'Toole rules Troy as King Priam. Director Wolfgang Petersen recreates a long-ago world of bireme warships, clashing armies, the massive fortress city and the towering Trojan Horse. $46.865 million on 3411 screens. Despite the enormous success of 2000’s Gladiator, Hollywood doesn’t often attempt flicks about the BC years anymore, but those efforts returned to prominence via a couple of big-name efforts in 2004. Oliver Stone’s Alexander bombed, so the more successful of the two came first with Wolfgang Petersen’s Troy, which hit the screens in May 2004. Under King Agamemnon (Brian Cox), the kingdoms of Greece become united in a loose alliance except for unconquered Thessaly. The King’s brother Menelaus (Brendan Gleeson) - also the King of Sparta - tires of war so he attempts to settle problems with Troy, Greece’s main rival. Warrior par excellence Achilles (Brad Pitt) fights for Greece but turns into something of a wild card due to his dislike of Agamemnon. When the forces of Thessaly and Greece meet on the field of battle, Agamemnon proposes that they settle matters with a one-on-one fight between each side’s best warrior. Thessaly puts up Boagrius (Nathan Jones), while Greece uses Achilles. Inevitably, the latter wins - after all, it’s Brad Pitt’s name over the credits, not Nathan Jones’s. From there we see a celebration of the union between Sparta and Troy as Menelaus toasts Trojan princes Hector (Eric Bana) and Paris (Orlando Bloom). That’s not the only union, as Spartan Queen Helen (Diane Kruger) maintains an affair with Paris. She frets that he’ll split and she’ll never see him again, so he invites her to come as well despite a slew of prospective dangers. She agrees to accompany him, and Menelaus flips when he discerns her absence. Hector’s none too happy either, since Paris’s decision may cause war. He insists that they return to Troy with Helen even through Paris claims he’ll not leave her. Not that this seems likely to placate the enraged Menelaus who wants to raze Troy to the ground. To those ends, he convinces Agamemnon to come to war with him. Although some feel no one can conquer Troy, Agamemnon delights to take on the opportunity. Unfortunately, his advisor Nestor (John Shrapnel) thinks they require the unpredictable Achilles, so the king reluctantly recruits him. Agamemnon gets the warrior’s pal Odysseus, king of Ithaca (Sean Bean), to convince Achilles to fight, and his spiel works. Paris, Helen and Hector return home and inform the Trojan King Priam (Peter O’Toole) of the situation. Hector wants to send Helen home, but Priam seems more willing to take on those who would fight them. The various forces soon arrive in Troy, where Achilles’ warriors hit the beach first. They slaughter many and take the advantage. Along the way, the men capture priestess Briseis (Rose Byrne), also a relative of Priam, and give her to Achilles. He doesn’t take advantage of her, though, and actually comes to her defense when Agamemnon possesses her. She tells him to back off and not kill on her behalf, though this means the king will use and abuse her. This also serves to make Achilles hate Agamemnon even more, though the hunky warrior manages to start a romance with the priestess eventually. When the armies next meet, Paris proposes a compromise. He will battle Menelaus for the possession of Helen, winner takes all, and the war ends. Unfortunately, Paris is a lover, not a fighter, and he fares poorly in the contest. When he cowers next to Hector, the older brother takes care of business and slays Menelaus. This really cheeses off Agamemnon, and the war resumes with a passion. The rest of the film follows these established threads. We see the various elements of the war along with other pieces. Some of these involve Achilles’ cousin and ward Patroclus (Garrett Hedlund). When his parents’ died, Achilles started to care for him. 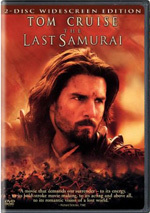 In addition to Gladiator, I think part of the reason for the resurgence of this kind of historical epic stems from the success of the Lord of the Rings movies. Of course, those didn’t deal with any specific era in history, but they tended toward a feeling of an older time, and they featured a period prior to the use of firearms. That Rings tone comes through very clearly in Troy’s battle sequences. These owe a big debt to those of the Rings flicks; were it not for the absence of orcs and other creatures as combatants, the Troy fights would look like they came straight from Peter Jackson’s hit. 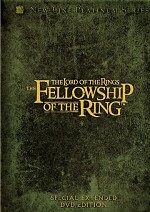 Unfortunately, the battle sequences - and the movie in general - never become nearly as involving as Rings. For an epic about warriors Troy tends to be an awfully chatty experience. The first act of the flick drags as we learn about all the situations and scenarios. The exposition is clearly necessary, but Petersen could have portrayed it in a livelier manner. In fact, the opening text tells us much of what we need to know, and the rest of the yammering does little more than drive home the same points. Troy aspires to a larger-than-life attitude but it fails to feel grand and all encompassing. The participants endlessly blather about their places in history and how they want to be remembered. I suppose this aims to let us know about their attitudes, but instead it feels more like an attempt to convince us we should care. Obviously the stories and characters were remembered for centuries - we’re watching the movie, aren’t we? Do we need endless discussions of the characters’ thoughts about their places in history? No, and these drag a slow-moving movie even further. All this gabbing might be more acceptable if the action lives up to expectations, but it doesn’t. A couple of the fights work reasonably well, but most of them just feel like outtakes from Rings. Petersen stages them with too many cuts and in a jerky manner that makes them moderately annoying to watch. This becomes especially irritating during a climactic battle between Achilles and Hector. Petersen cuts very rapidly, probably to allow Pitt and Bana to do as much of the fighting themselves. Longer shots would likely have required the use of doubles, whereas shorter bursts could be executed with the real actors. That’s a nice idea, but since it requires the action to pop up in short, choppy bits, it becomes aggravating to watch. Troy boasts a very solid cast, but none of them make much of an impression. In general, I like Pitt very much, but he lacks the right personality for a role like Achilles. He simply has the wrong tone for this sort of classical enterprise; he works much better as more modern and American characters. It doesn’t help that his vague attempt at a British accent fails miserably. The buffed-up Pitt looks great in the role, but his usually-solid acting chops fail him. With all sorts of intrigue, action and subplots, Troy had the potential to be a thrilling epic. Instead, it ends up as an excessively long, overly chatty bore. It rambled from one scene to another without much useful material to connect it. Chalk up Troy as a dull disappointment. 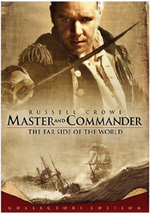 Troy appears in an aspect ratio of approximately 2.35:1 on this single-sided, double-layered DVD; the image has been enhanced for 16X9 televisions. With one disc wholly devoted to the movie and no extras, there’s no excuse for problems, and we find none in this stellar presentation. Across the board, sharpness was immaculate. At no time did I notice any soft or ill-defined images. The movie consistently came across as tight and distinctive. I noticed no shimmering or jagged edges, and the film also seemed free from edge enhancement. I saw no signs of source flaws either, as the flick was clean and fresh. Given its setting, Troy went with an appropriately arid look. Not a ton of colors appeared through the film, but what we saw looked very good. The various hues appeared well-developed and rich. Blacks also seemed dense and firm, while low-light shots were accurate and concise. If any problems popped up during Troy, I didn’t notice them. While no concerns cropped up via the Dolby Digital 5.1 soundtrack of Troy, it didn’t seem as impressive as the visuals. It simply lacked the scope I expected from this sort of movie. The soundfield stuck with the front speakers to a surprisingly heavy degree. The surrounds largely just filled in elements from the forward domain. Sure, they added some spark to the battles and occasionally provided unique elements like when spears flew from back to front, but they weren’t very active partners in the proceedings. As for the front domain, it used the spectrum well. The music showed good stereo presence, while effects were accurately placed. They blended well and created a nice feeling of atmosphere. Audio quality was very good. Dialogue always came across as natural and suffered from no edginess or problems with intelligibility. Music was bright and lively, as the score demonstrated positive dynamics. Effects also contributed fine dimensionality. Bass occasionally was a little boomy, but lows usually appeared tight, and the highs were firm and clear. The mix didn’t really do anything wrong, but it lacked the ambition to earn a grade above a “B+”. All of this package’s extras show up on DVD Two. Don’t expect a lot of features, though, as the package fails to pack the disc with much material. We open with a featurette called In the Thick of the Battle. This 17-minute and 10-second program includes movie shots, behind the scenes elements, and interviews. We hear from second unit director/stunt coordinator Simon Crane, director Wolfgang Petersen, weapons designer Simon Atherton, chief prosthetics makeup Daniel Parker, special effects supervisor Joss Williams, sword master Richard Ryan, military technical advisor Richard Smedley, and actors Eric Bana and Brad Pitt. They discuss the various weapons used in the flick and their construction, the depiction of gory violence, the training of extras to play soldiers, location challenges, and the specifics of some fights. The program offers a surprisingly rich look at its subjects. It touches on a nice mix of topics and gets into them with just enough detail to become useful. There’s very little fluff on display in this tight and brisk piece. Next comes another featurette entitled From Ruins to Reality. It goes for 14 minutes and features remarks from Petersen, Bana, Pitt, Williams, writer David Benioff, British Columbia Department of Greek/Roman Antiquities Lesley Fitton, producer Diana Rathbun, location manager Peter Novak, supervising art director Les Tomkins, production designer Nigel Phelps, supervising art director Kevin Phipps, and actors Diane Kruger and Peter O’Toole. They discuss exploration of the historical Troy and research for the film, the choice of locations, the design and construction of the sets, and various details of the shoot. For the most part, my comments about “Battle” apply to “Ruins”. This show also goes through some intriguing material in a reasonably evocative and distinctive manner. It isn’t quite as good simply because it engages in more puffy talk than I’d like; it occasionally comes across as self-congratulatory. However, the positives outweigh the minor negatives to make this a good program. For the final featurette, we find Troy: An Effects Odyssey. It takes 10 minutes and 53 seconds to give us notes from Petersen, Crane, Benioff, supervising sound editor Wylie Stateman, and visual effects supervisor Nick Davis. They discuss the creation of a digital armada of boats, camera techniques, building digital soldiers and executing battles, and audio elements. Don’t expect anything to differ from the prior two featurettes. “Effects” presents a tight exploration of the various issues and gives us a short but informative take on the material. In addition to the film’s trailer, we get a Gallery of the Gods. This takes you on a temple tour to learn about the legends of 12 different Greek gods. It presents a decent little overview. 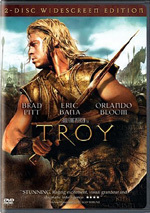 Excessively long and fairly tedious, Troy turns a remarkable serious of battles into bland melodrama. The interpersonal elements don’t coalesce and the fight scenes fail to take flight. The DVD offers excellent picture quality along with good but unexceptional audio and a small, generally interesting collection of extras. If you have an interest in the subject, Troy might merit a rental, but I saw it as a boring failure.